This ginormous brush is the biggest of the bunch! The unique dual-bristle helix both lengthens and intensely volumises with long and short fibres. The creamy, red algae-based formulation is made up of glossy black pigments for a deliciously dark eye look. Pump up the volume with this gorgeous couture brush made up of layers of fibres that reach every last lash. A revolutionary formulation of black pearl pigments and ‘metamorphosis powder’ creates thick, luscious lashes that have serious lasting power. Maximise your lash potential with an oversized brush with densely packed bristles. The creamy formulation doesn’t clump or flake, and is specifically designed to be built up layer by layer on the lashes for a high drama finish. Create oodles of thick, long lashes with this all-star high performance mascara. The large brush creates a fluttery look without spikiness or clumping, and the carbon pigment dresses eyes with an intense and long-lasting colour. 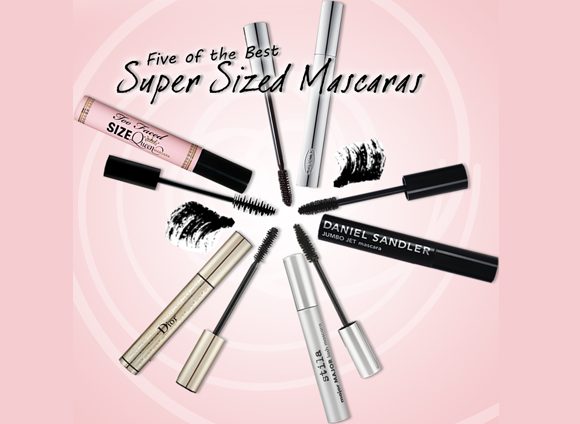 Fill in your lash line with this super caring formulation. A special filmogenic polymer thickens every last lash with a combination of waxes, while a second polymer builds up lash density and creates a dramatic, exceptionally voluminous look. This entry was posted on Tuesday, September 20th, 2011 at 8:00 am and is filed under Hints & Tips, Make-up. You can follow any responses to this entry through the RSS 2.0 feed. You can skip to the end and leave a response. Pinging is currently not allowed.